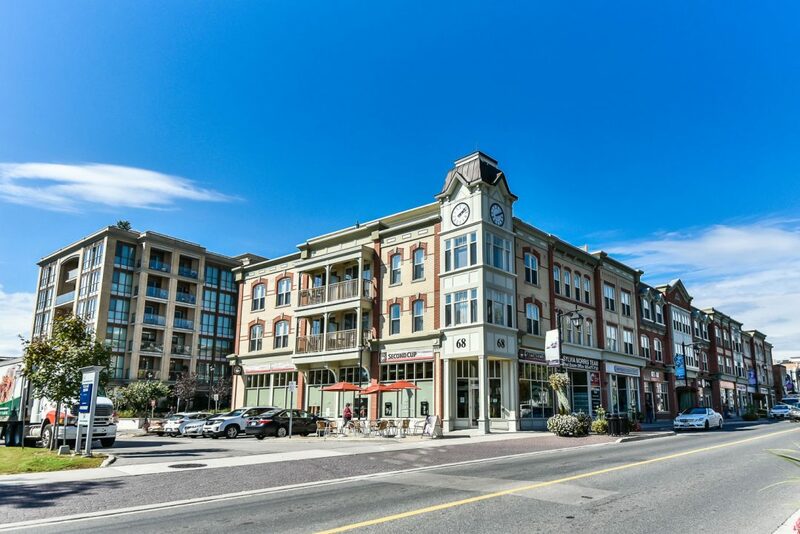 68 Main Street N #513, Markham – Unbelievable Condo In The Heart Of Historic Markham Village. Approximately 958 Sq.Ft. Of Luxury. Spacious 2 Bedroom + Den. Extra Large Breakfast Bar And Granite Counters. Upgraded Engineered Floors And 9 Ft. Ceilings. Fabulous Southern Exposure View Overlooking Courtyard. Spectacular Roof Top Garden With Patio & BBQ, Exercise Room And Party Room. Steps To Restaurants, GO Train, Cafes. 2 Parking Spots. Minutes To 407 To Toronto.